Karl is the winner of Vol 2-2, Vol 2 – 30, Vol 2 – 32, Vol 2 – 45, Vol 3 – 43 and Vol 3 – 44. Karl A. Russell is a paid up, lifetime member of the #FlashDogs. His work has appeared in Firewords Quarterly, Synaesthesia Magazine and several anthologies. His virtual awards shelf includes trophies from the Angry Hourglass, Finish That Thought, Microbookends, Three Line Thursday, Luminous Creatures and many more. 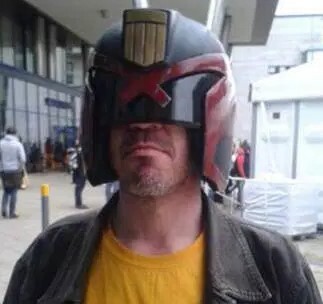 He still wants to write for 2000AD, has a couple of movie script ideas and has faithfully promised to have a finished draft of Ice Baby by the end of the year. But he hasn’t said which year. –Be sure to read his Sixty Seconds interviews! He’s had FIVE, after all. Here they are: Dec 24, July 9, July 23, and Oct 22 (2014) and Oct 8, 2015. Her legs ached, bones gnawed by cold and hunger, but the kids waited at the foot of the mountain; there was no turning back. She ran for the next overhang, the packed snow crumbling as she hurled herself onwards, upwards, towards the prize. The ledge held and she scrambled on, breathing heavily.